This is the anime original artwork of Saikano. 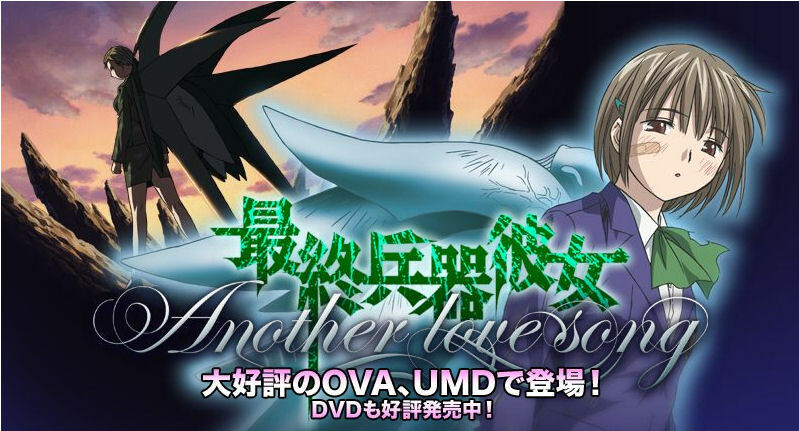 Althought Another Love Song is actually the OVA, but I just want you to have a feel how does the original artworks compare to the movie adaption of the story. 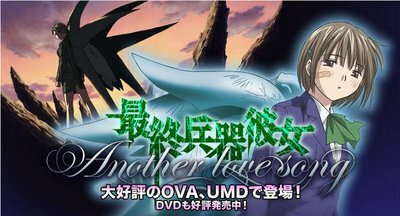 I had not watched the OVA, so I don't want to say too much about it. I had watched the original 13 episodes anime and at some point of time, I really stopped at episode 10. That is the so-called make-believe happy ending. For those who had followed me and continued on to 11-13... Your life will never be the same again. Trust, NEVER. And you should not read on if you decided or cannot decide if you can swallow the truth and the shocking ending of Saikano. 11-13 basically covered the end of the world. Well, not really what we expected, but the world ended very much like the way Neo Genesis Evangelion. However, this ending I felt I did not really like it. That is until I watched the movie. That ending was even more lame then the end of the world. I suddenly realized the end of the world ending really did bring out much much more of Shu and Chise undying love and their promise to protect each other till eternity. I do say I kinda missed the end of the world ending really. The movie was not totally a let down. The Chise chick is cute. :) I don't like the Shu guy though. He's too old for the role I feel. The overall is not bad, but people who expects lots of action will be disappointed though. Saikano is really more of a love story than a war movie.